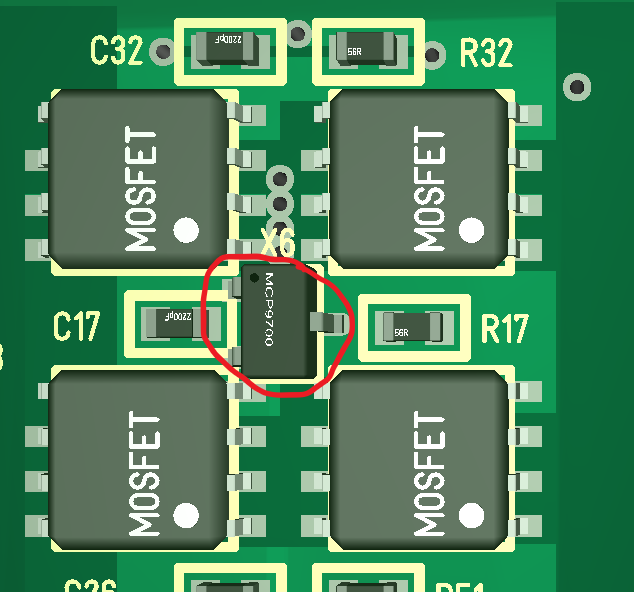 One of the changes on the new MC4X design is that I space out MOSFET a little and add 2 temperature sensors on the PCB located between 4 MOSFET’s. I use MCP9700 in SO23-3 package that is just the right size. Adding to of this monitoring 4 MOSFET’s each should be work out better than attempting to add external sensors.